Its' no tears formula free of parabens gently cleanses the hair and eliminate knots and leaves hair feeling soft and smooth and looking shiny. 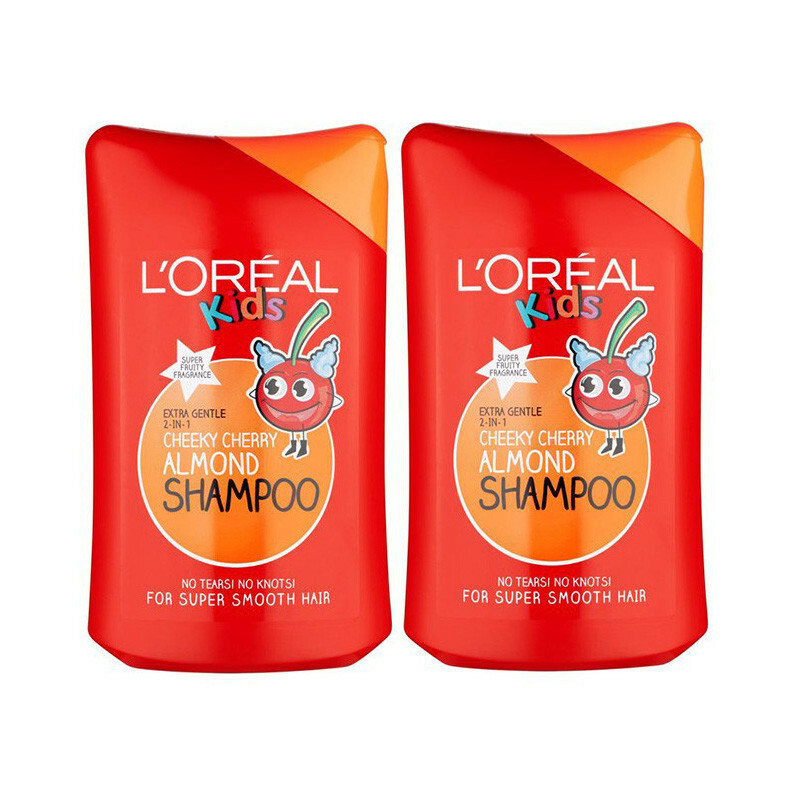 L'Oréal Kids - Cheeky Cherry Almond Shampoo makes your baby hair super soft and smooth and gives a full shiny hair. This shampoo is excellent for kids and it smell nice and keeps your baby skin safe and smooth. Its' no tears formula free of parabens gently cleanses the hair and eliminate knots and leaves hair feeling soft and smooth and looking shiny. L'Oréal Kids - Cheeky Cherry Almond Shampoo makes the bath time a fun time. It leaves baby hair feeling soft and smooth with no knots for hair that shines in the sun.